baby tiger and lion are being hand raised together after being rejected by their mothers at Six Flags Great Adventure’s safari. The Siberian tiger cub is the first tiger birth at the safari in 13 years, and is being raise with an African lion cub at the amusement park in Jackson, NJ. The park’s veterinary team is caring for the two female “big cats” as one litter, despite being two species that would typically never meet in the wild since they are native to different continents. 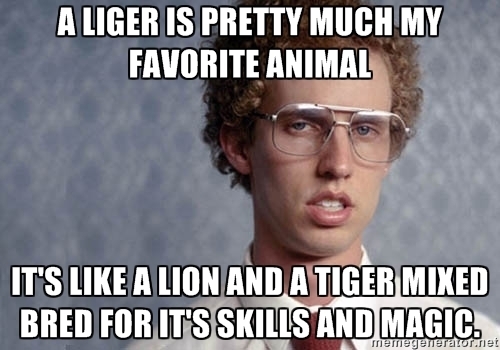 If they needed to be raised together, they'd already be Ligers. Can we get someone from PETA to suggest that they should have just been left to die?